Styles come and go, but mid-century modern design always holds its own. Why don’t people get tired of MCM? It could have something to do with its relentlessly clean lines, or the way MCM melds seamlessly with other design styles. Some of America’s most famous hotels are holding the line on classic MCM. These hotels will inspire you to incorporate MCM into your current design scheme. The greatest thing that you can do with MCM is preserve it, and that’s where Hotel Valley Ho excels. While other MCM classics faded into obscurity, the Scottsdale Valley Ho went all in on maintaining the hotel just as it had always looked. The Hotel Valley Ho was the place to see and be seen in the mid-1960’s. 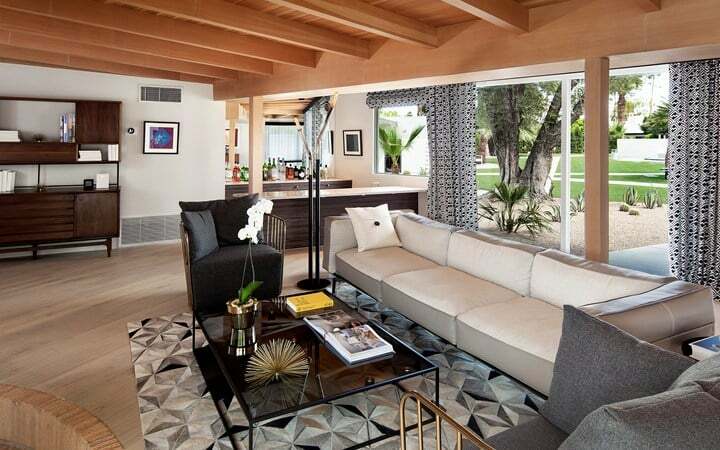 The decor perfectly melded mid-century vibes with the landscape and colors of the Southwest. At the Hotel Valley Ho, every detail is on point, from the furniture to the pens. Boston is not noted for Mid Century looks. 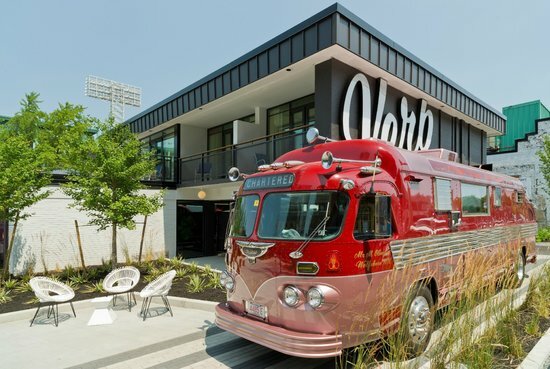 But the Verb Hotel, just five minutes from Fenway Park, has embraced the era. The hotel was once a classic 1950’s motel. Its new ownership has created a vintage playground, complete with rows of vintage radios, 8-track players, and even a retro tour bus. The hotel has a musical theme and is right down the block from the House of Blues. 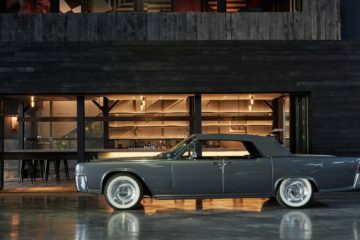 The interior includes a Japanese restaurant, vintage decor and even a hip sundeck. 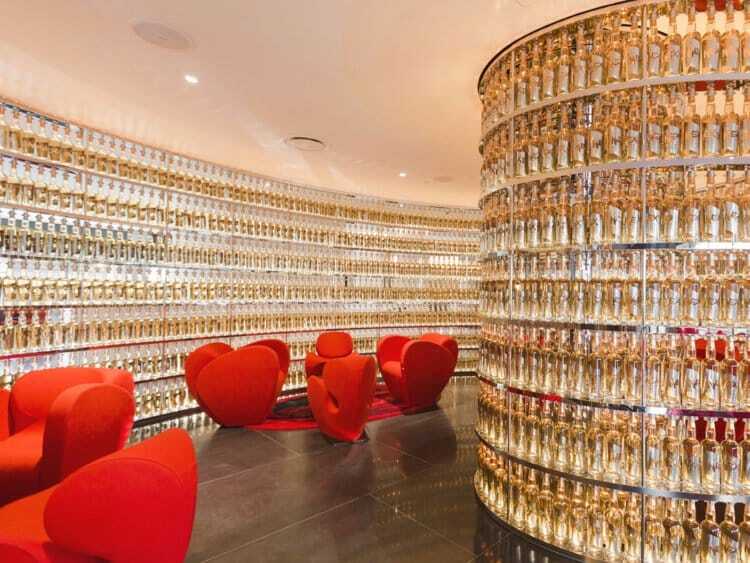 When you say “watergate,” the Watergate Hotel is not what comes immediately to mind. But the hotel has been making headlines since it opened in 1965. Italian architect Luigi Moretti’s curvy design was controversial in the staid circles of Washington D.C. However, the neighborhood got over it, and the hotel soon became a hot spot for the hoi polloi. In 2007 the Watergate Hotel closed, only to reemerge in 2015 with a $125 million renovation. The original elements are all present, with neutral tones, curvy lines, and marble floors, capped off with a rooftop bar view of the Potomac River. Mad Men costume designer Janie Bryant was even tapped to create period uniforms for the staff. South Florida is home to many hotels that preserve MCM design. The Confidante kep its 1940’s facade and its 1960’s era orange chandeliers. Teal doors, platform beds and clean lines top off the room experience.The pool is a stunner, with yellow lounge chairs and palm trees that just scream South Beach. 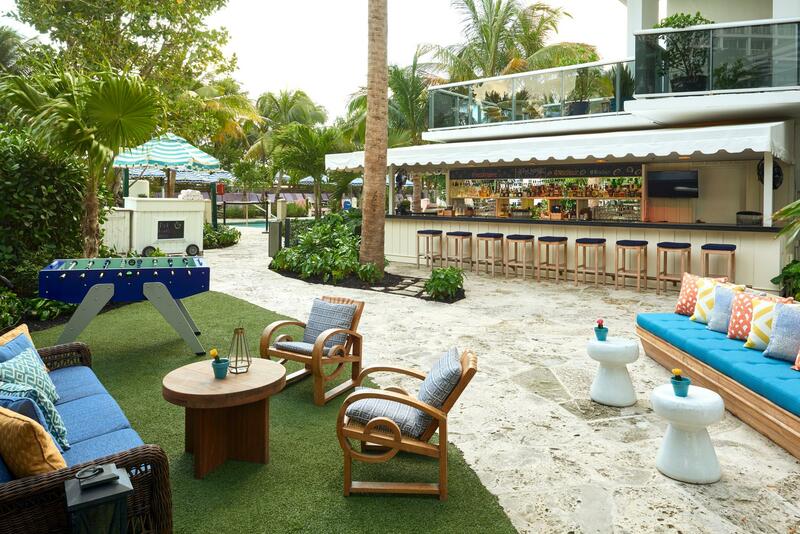 The patio is all Florida, with colorful seating buttressed by a beautiful beach. Beverly Hills is another mainstay of MCM design. 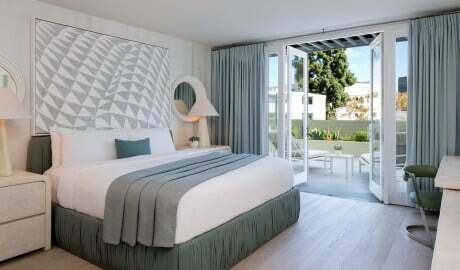 This 1950’s boutique hotel has retro furnishings – if you swoon over George Nelson lamps, Charles Eames chairs, and tables by Isamu Noguchi, the Avalon will be heaven. Some of the stylish rooms even include private patios. In the mood to relax? Get a load of the vintage hourglass-shaped swimming pool, which is accompanied by a poolside restaurant and cocktail bar that oozes with modern coolness. It’s easy to imagine Don Draper lounging by the pool on one of his West Coast getaways. L’Horizon Resort & Spa was designed in 1952 by William F. Cody, and it immediately drew the biggest movie stars in the world, such as Marilyn Monroe and Betty Grable, in addition to several U.S. presidents. The resort contains 25 bungalows and is considered one of the best examples of MCM architecture in California. In 2015 it had a huge renovation and reopening, adding touches like Le Labo bath products, Frette linens and minibars by Dean & Deluca. 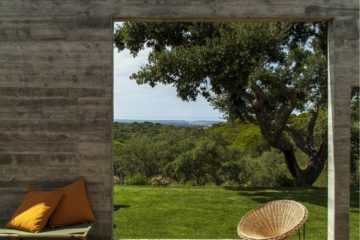 A new restaurant on the property opened, helmed by Giacomo Pettinari, a veteran of elBulli. 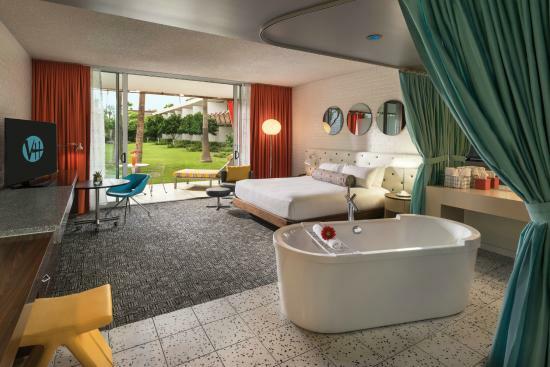 The desert is known for incredible mid century finds, and L’Horizon just keeps getting better. 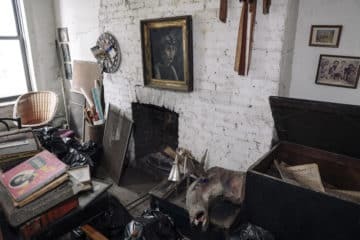 Chicago is known for its outstanding examples of 20th century architecture, due in part because a cow once started a fire that burned the whole city down. In place of the historic buildings, the great architects of the 20th century created a modern city. The Robey was designed by Nicolas Schuybroek Architects and Marc Merckx Interiors. It is located in a 1929 office building that retains a bit of its original art deco flair. It has a combination of vintage furnishings and custom-made originals that make guests feel transported to another era. The 203-feet tall skyscraper also boasts 180-degree views of the City With the Broad Shoulders, encompassing both tree-lined streets and the infrastructure of the L train.